30'' Double layer umbrella. 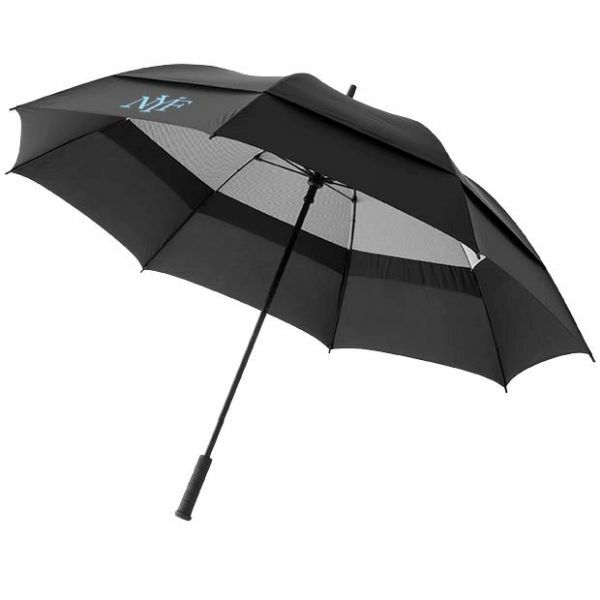 Exclusive design storm umbrella with double layer material, fibreglass ribs and shaft. This construction allows the wind to blow through the umbrella to prevent the umbrella from collapsing, packed in a non woven Slazenger gift pouch. Nylon.